Having indoor plants not only makes your home look more fresh and beautiful but they also have wonderful health benefits. Plants release oxygen, help purify the air, decrease stress levels, reduce fatigue and can even help lower noise pollution. However there is just as much science involved in keeping indoor plants as there is growing outdoor ones. Today we’ll be discussing some top tips and tools needed for the beginner horticulturalist. Purchase an indoor gardeners guidebook. This will become invaluable to you when assessing what plants to purchase and those specific plant’s needs. Every plant has different needs in terms of the air temperature, moisture levels, sunlight needs etc. As beautiful as some may look, they will not survive if they are placed in the wrong area. Some plants will also grow much larger than when you first purchase them – think about whether in a years time you will want a very large plant or one that is still quite small. Ensure they have proper drainage. Outdoor plants will drain naturally into the soil however indoor plants need a way to ensure they don’t become too water logged. Keep your plant inside the plastic tub it comes in, these have proper draining holes at the bottom. You can then pop this into a nice looking pot that has a little wiggle room around the sides and bottom. 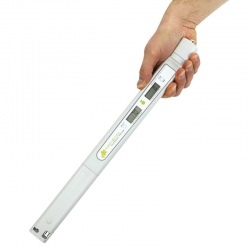 Purchase a pen-shaped pocket hygrometer. 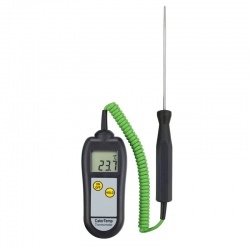 This handy little tool displays both humidity & temperature. Many indoor plants such as ferns or succulents like a moist and warm environment. In particular for Maidenhead Ferns a temperature of about 21°C is ideal, but temperatures below 16°C should be avoided. Maidenhair ferns also cannot tolerate dry air, so if your home is dry, you’ll need to figure out how to provide your plant the humidity it needs, making the pocket hygrometer the perfect tool. 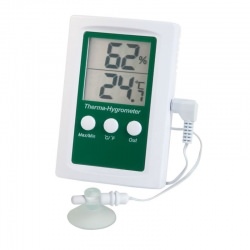 Unlike many hygrometers that are large and heavy to carry around, this compact hygrometer and thermometer is truly pocket-sized and convenient to use, making it ideal for popping in your kitchen draw when not in use. Do NOT over-water your plants. Over-watering is very often the cause for indoor plant death. Check the soil by pushing your finger about an inch down; if it comes out without any trace of soil on it, start watering. A good idea is to look up how often your specific plants need watering and then pop a little reminder on your calendar of the date when they were all last watered. Purchase a small watering can, a spray bottle with adjustable mist setting and some indoor plant food. The majority of indoor plants love to be misted and will greatly benefit from a little added fertiliser to their soil, as they do not receive any nutrients from the ground like outdoor plants do. Keeping indoor plants is easy once you get the basics right, they make a great addition to any home and always brighten up a room.